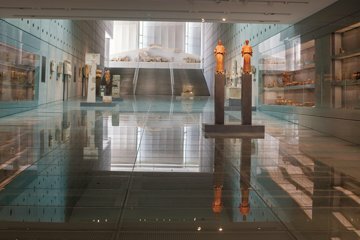 Athens’ Acropolis Museum is regarded as one of world’s top museums, but its collections can seem daunting to first-time visitors and non-history buffs. Bring the treasures alive with this interactive small-group tour. Tour with a guide who’ll reveal the messages about ancient Athens hidden in the relics—letting you connect to the past through puzzles, games, and two Athenian characters that you wouldn’t encounter if exploring alone.